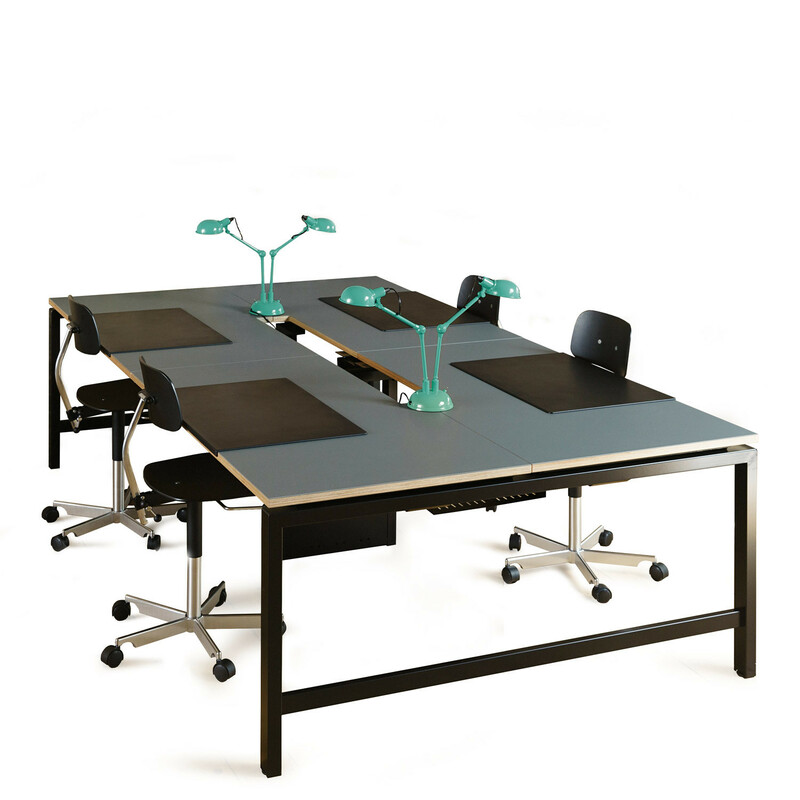 Studio Bench Desk system with telescopic frame structure provides offices with the flexibility to achieve various configurations. 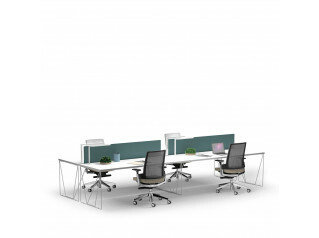 The modern workshop style leg frame with either unfinished wooden desktops or mfc tops compliment a range of workplace interiors. 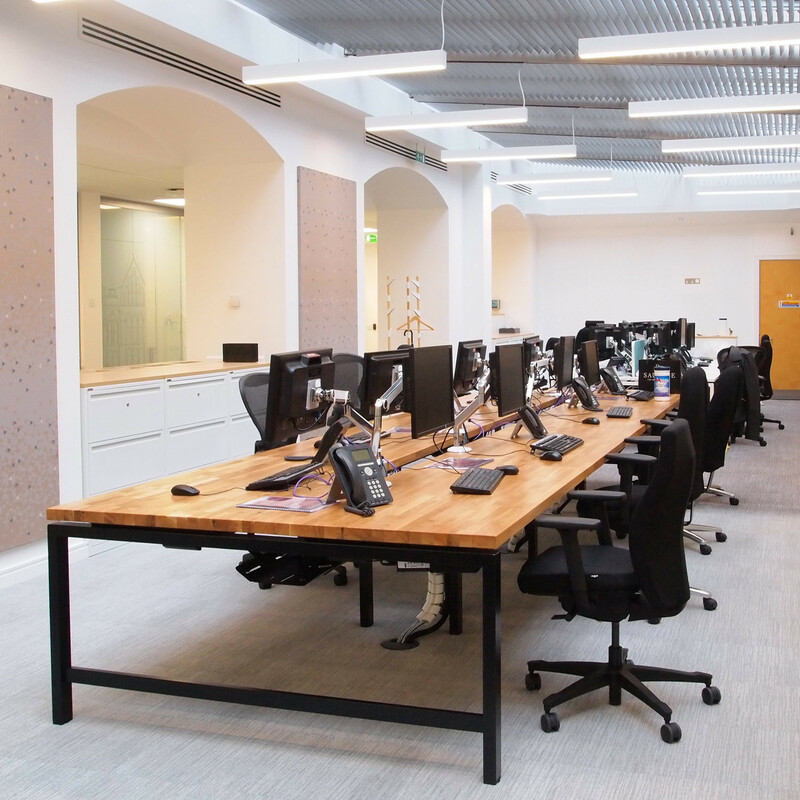 Albion Studio desking can be fitted with fixed or sliding desktops providing easy efficient cable management access in conjunction when utilising the optional cable tray and central mass cable riser. There is also a range of desk dividing screens available on request. 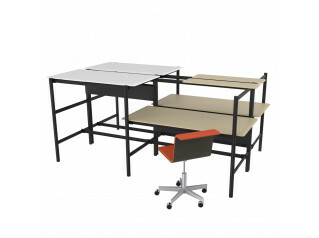 Studio desking Standard framework finishes include either white, black, raw steel. 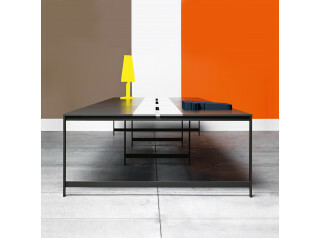 Tops: manufactured to your specifications in a wide range of finishes. 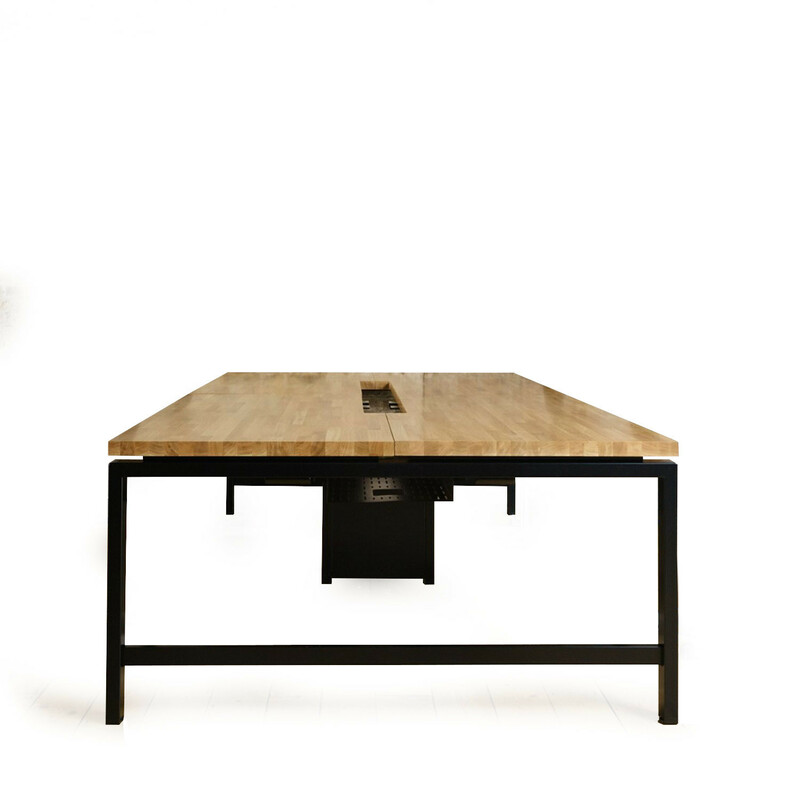 You are requesting a price for the "Studio Bench Desks"
To create a new project and add "Studio Bench Desks" to it please click the button below. 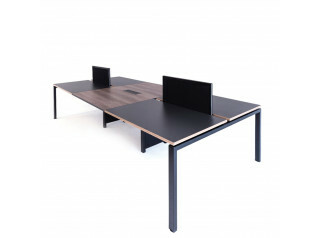 To add "Studio Bench Desks" to an existing project please select below.